Jan Paul II reliquary has been designed and crafted in Sacrum bronze workshop to celebrate an event important for all Catholics – beatification of the Holy Father, John Paul II. The reliquary is made from brass plated with pure gold and silver respectively (weight: 1.6 kg). 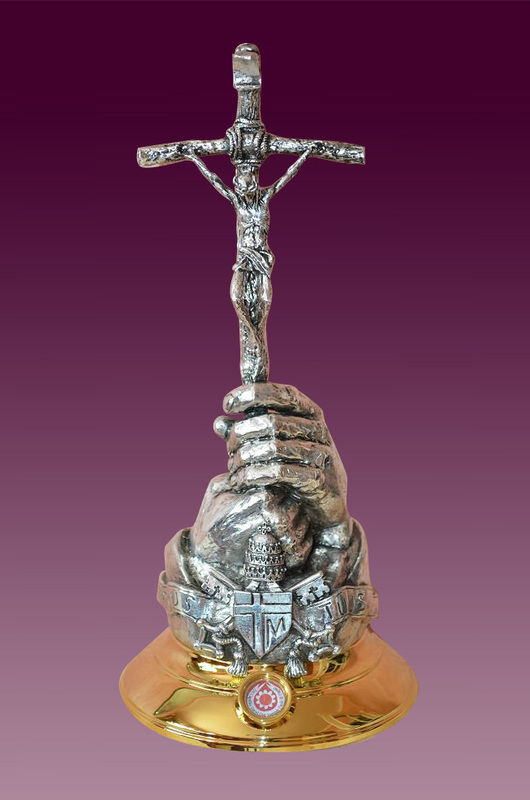 Our papal reliquary stands out from amongst other products available on the market of ecclesiastical objects. It is very characteristic and constitutes a subject of religious worship with high-class visual qualities. More John Paul II reliquary see in page relikwiarz Jana Pawła II.